There's going to be a live-action version of Dumbo this spring, and it features a special contribution from Arcade Fire. 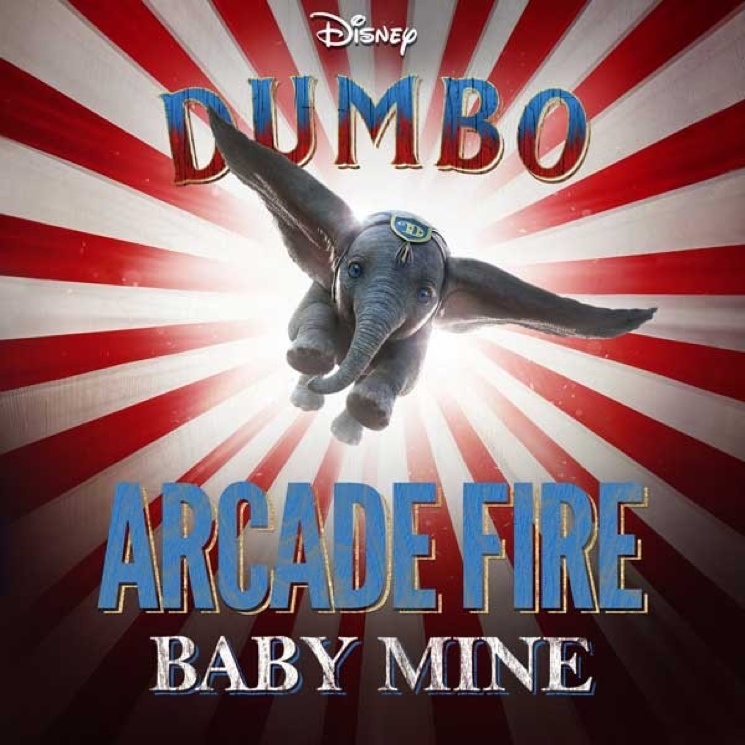 They covered the song "Baby Mine" for the movie's end credits, and you can now preview the new recording in the latest Dumbo trailer. This song comes from the 1941 animated version of Dumbo. It was originally performed by Betty Noyes (with music written by Frank Churchill and lyrics from Ned Washington). There is a scene with a locomotive in the original Dumbo that uses an instrument called the Sonovox that my grandpa Alvino Rey made famous in the 1930s. Every time I saw the film I thought it was him. When we were asked to do the [end credit version of "Baby Mine"], I immediately got all of my grandfather's old guitars and wanted to play them in the song. My mom plays the harp on the track, my brother the theremin, my wife [Régine Chassagne] sings and plays drums, and our son even plays the triangle, as well as the rest of our "family" in Arcade Fire. I will forever relate to the song thinking about the people I hold so dear that are "so precious to me." Listen for the cameo of my grandpa Alvino's famous Sonovox at the end. Disney's live-action version of Dumbo comes out on March 29. It was directed by Tim Burton and stars Colin Farrell, Michael Keaton, Danny DeVito and Eva Green. Preview the new version of "Baby Mine" below. As for Arcade Fire, the band have hinted that they're working on a new single for release this year. It's currently unclear if that new single is "Baby Mine," their new Krewe du Kanaval song, or something else entirely.